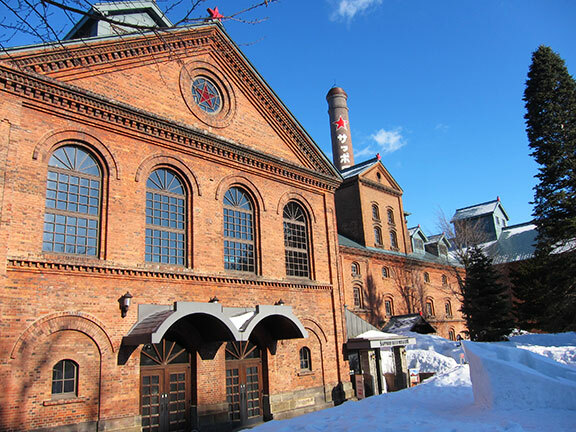 Sapporo has always been on my bucket list. 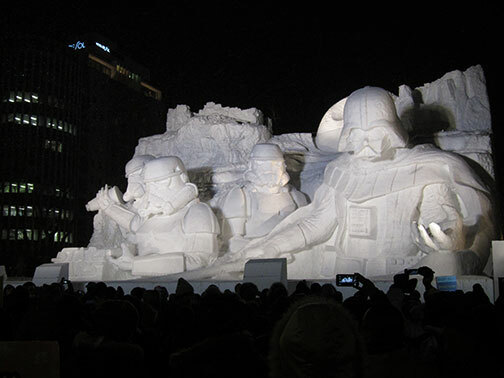 And after some relatively quick planning, a few friends and I managed to get there in time for the Sapporo Snow Festival a few weeks ago. 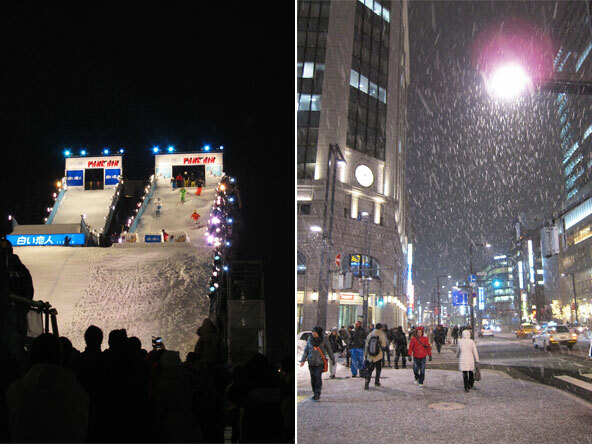 Sapporo, capital of Hokkaido Prefecture, is one of the few cities in the world that gets so much snow. And over a span of a week in February is when they set up three main venues across the city for the festivities. 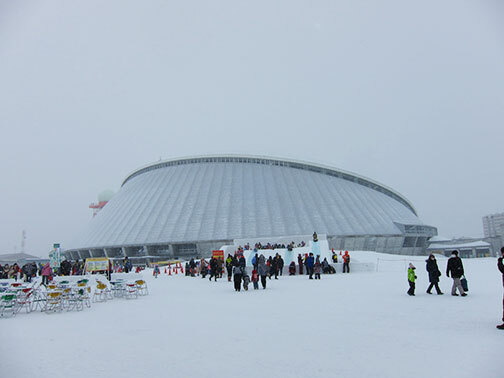 We first hit up the grounds of the Tsudome (Sapporo Community Dome). 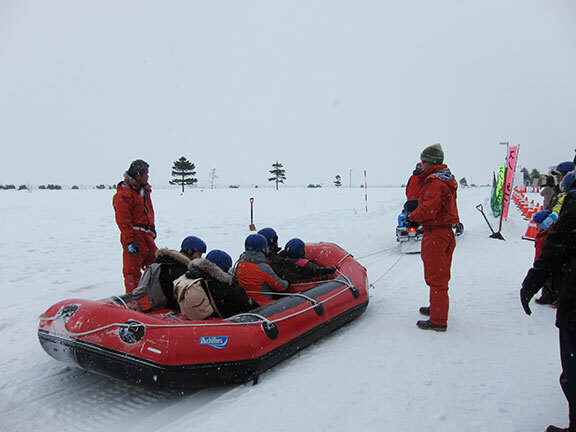 Here, some fun activities like huge ice slides and snow rafting can be done outside. Lots of kids, but the lines aren’t so bad. It just got very cold waiting to get up on the slide and it actually started to snow when it was my turn to go. It felt like my face was being ripped apart as I was sliding down on that rubber tubing. But it was fun. Inside the dome was a bazaar, some food stalls and some child-centered blow-up slides. 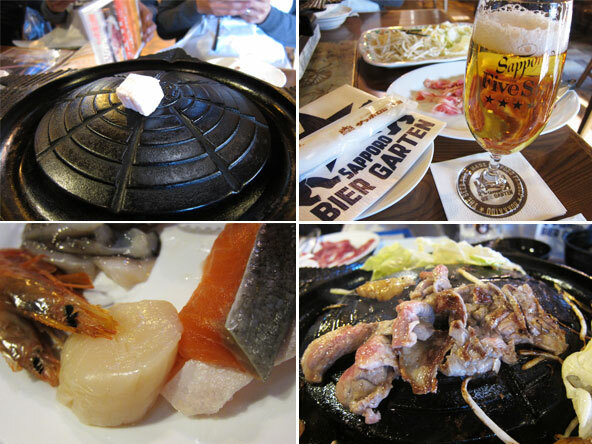 We had gotten a bit hungry and decided to get some grilled lamb over at the Sapporo Bier Garten. 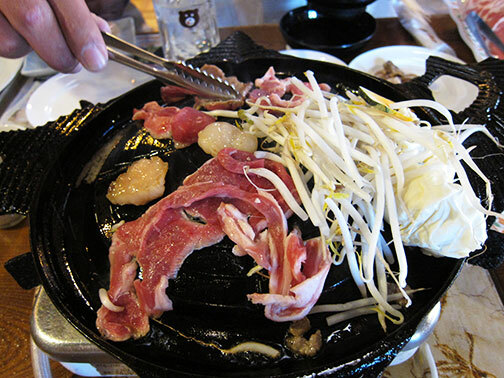 There are several things this region is known for in terms of food. Soup curry, miso ramen, seafood and Genghis Khan grilled lamb. 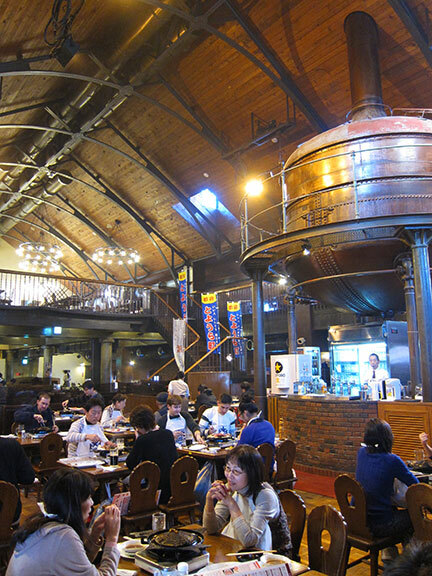 Of which the Sapporo Bier Garten dedicates a few dining halls for. We ate in the largest one called the Kessel Hall, named after that imposing copper cauldron sitting in a corner of the massive dining room. We all had decided to grill some lamb and seafood. You first melt a cube of lard over on a hot cast iron grill. Then you start laying on the meat and vegetables. The lamb was tender and had just the right gaminess; amazing with some white rice and of course washed down with lots of Sapporo Beer. I had a Sapporo Five Star with my meal, something they only carry in house on tap. Nice and crisp with a savoury character; though my favorite of their beers would still be the Yebisu. A very very good meal. 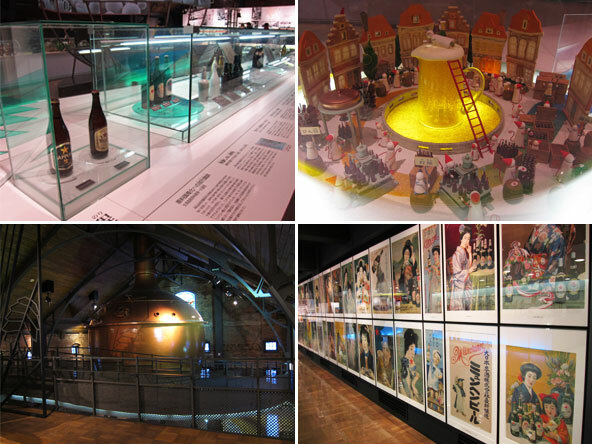 You can opt to visit the adjacent Sapporo Beer Museum and the tour is free. There’s a tasting room at the end where you can sample their range of brews. 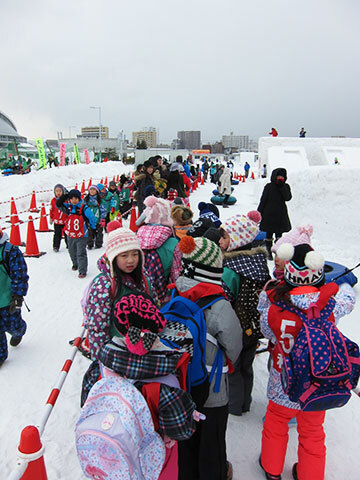 Fortified, and smelling like smoke, we all then layered up and headed out to Odori Park. 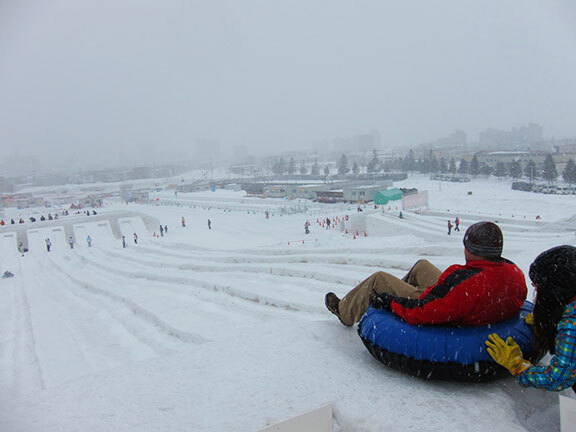 The largest of the venues; a 1.5km stretch filled with huge snow sculptures. 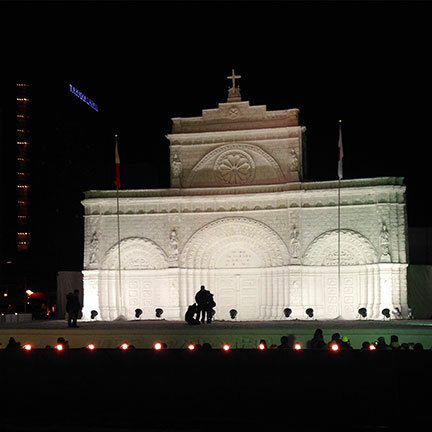 Highlights of which included the Lucasfilm approved Star Wars display and the Philippines’ Manila Cathedral. Of which the cultural shows really drew a lot of people. We had chatted with some Filipinos based in Sapporo (some for 25 years) manning the Filipino store and so proud to see all of them volunteering to promote our country in terms of tourism. 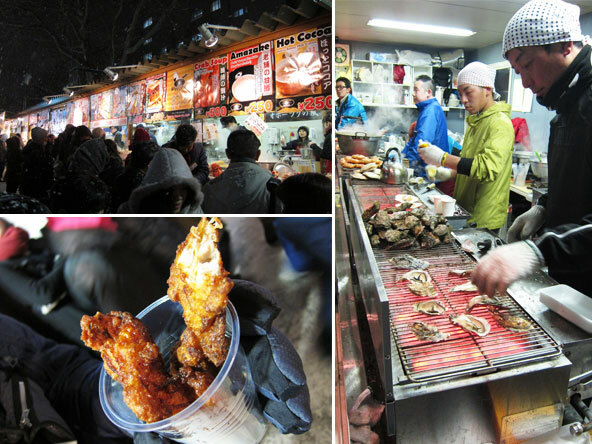 There were also lots of hot food booths lining the street. Grilled oysters, spicy karaage and such. But the best thing I had was a hot cup of Hokkaido milk. I was freezing and I needed it; It must have been -10°C then and I literally couldn’t feel my toes despite wearing wellingtons and double thermal socks. We had then shuffled over to the Tanukikoji Shopping Street to score some proper snow boots. Then got some steaming ramen to warm us up. 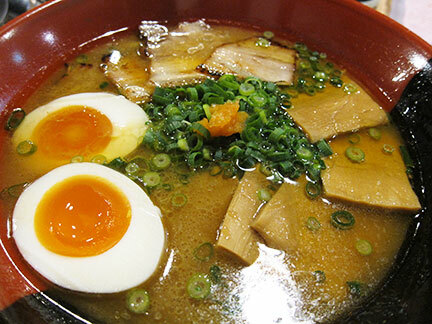 I had a shoyu tonkotsu ramen with lots on menma (bamboo shoots) and chasiu. As you can see there is a very thick layer of fat floating on top the soup. Which is quite common in the region. So as to keep the broth underneath hot. We then hit Susukino, the smallest venue of the festivities. 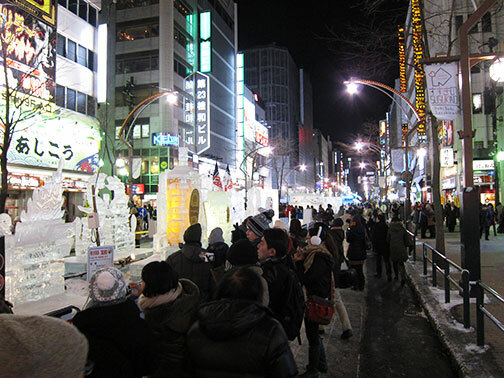 A narrower street compared to Odori and focusing more on ice sculptures. The group was a little sculptured out at this point and we managed to find a cool Americana themed bar called Homey Style that served beer, cocktails, burgers and hotdogs. And played Jack White and White Stripes on loop. Which was really music to my ears. It was, in fact, homey and we all plopped ourselves on the worn couches to plan our adventure for the following day. First day out in the cold and we already felt like we were hit by a truck from all that walking. And the cold weather really made me hungry all the time. Will share more of the eats in later posts.